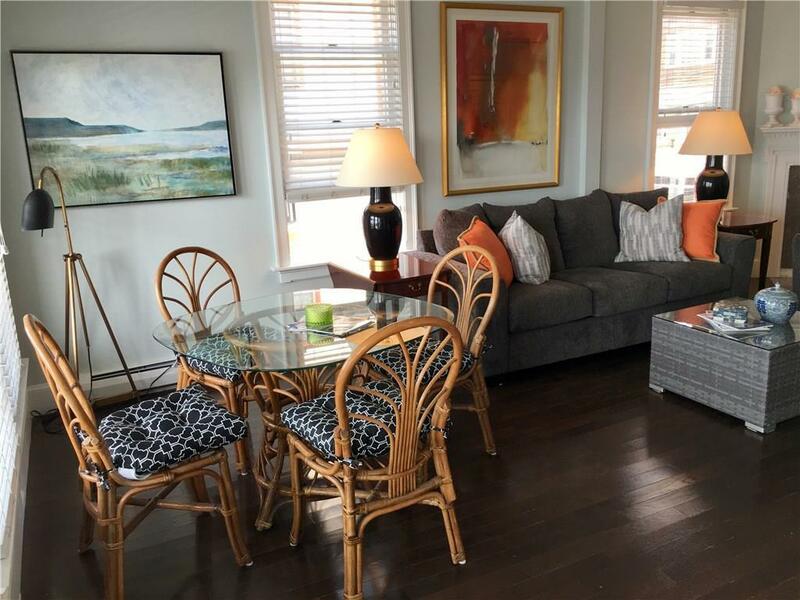 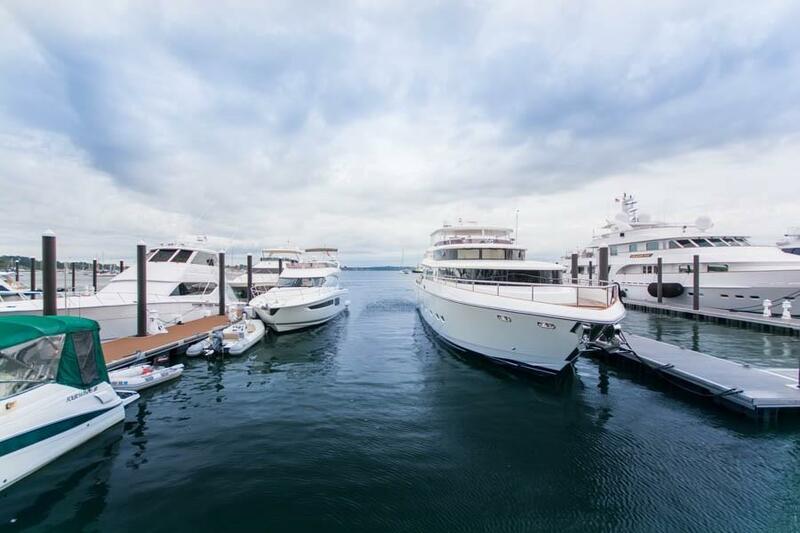 Sectacular Water views in the Yachting Village on Thames Street downtown 2nd floor Renovated Condo, 2 bedroom, 2 full bathrooms, large windows bright sunny corner unit. 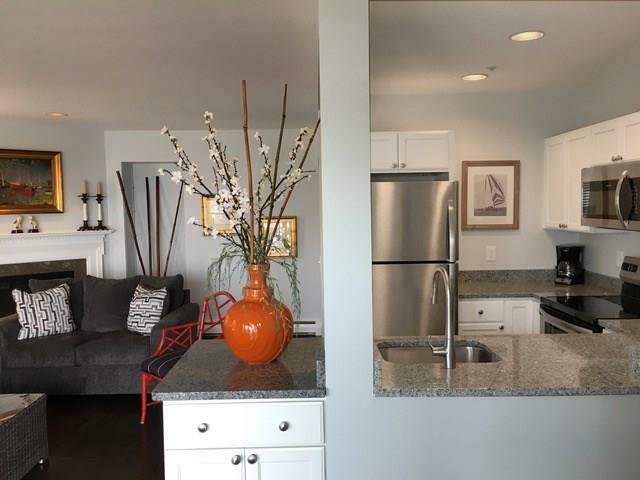 Enjoy sunsets from your large private deck/balcony Spacious living & dinning area, walk in closet, full size washer & dryer in unit and parking, wood floors & tile bathrooms, freshly painted, new kitchen with granite counters, stainless steel appliances. 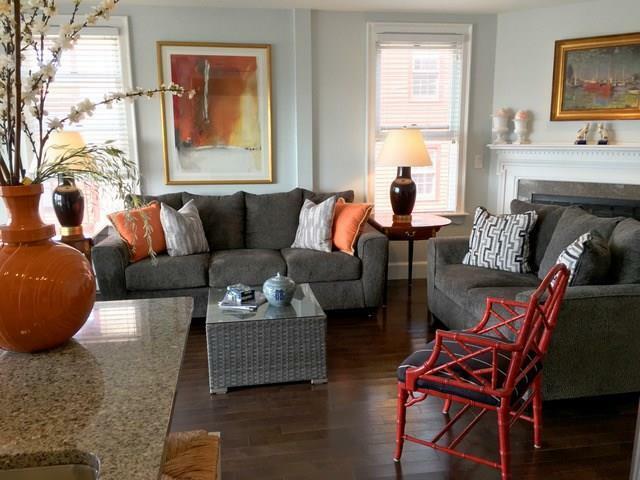 Perfect location to enjoy all of Newport walk to restaurants, shopping, and famed Bellevue Ave. A Must See this spacious corner unit has great flow!